If you click on "Delete all" all the items are removed from the cart. This action can not be undone. You can collect several media for one order in the shopping basket. The maximum order quantity for each medium is: 20 pieces It is not allowed to sell material that has been made available at no charge. Close relationships with our customers and collaborative development work are hallmarks of Schaeffler Automotive. Using innovative ideas, creative engineering and comprehensive manufacturing expertise, we provide solutions for our customers that begin at the product-development phase and continue through to volume production. 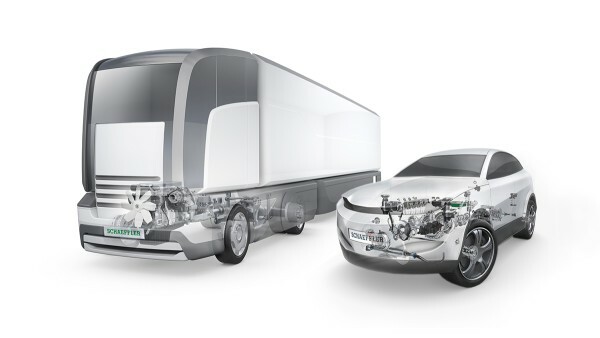 The main products include chassis components and systems, technologies for clutches and transmissions, as well as engine components and drives for hybrid and electric vehicles. Schaeffler precision products are key to reducing fuel consumption and emissions. At the same time, they extend the service life of engines and transmissions and increase driving comfort and dynamics. © Schaeffler Manufacturing (Thailand) Co., Ltd.